Since starting in 2014, CRM (Customer-Relationship Management) software company Baker has experienced significant growth in the cannabis space. The company has gone from three employees to 55 and from working with three dispensaries to more than 1,100. Co-founder and CEO Joel Milton told New Cannabis Ventures about Baker’s recent merger into B2B cannabis platform TILT Holdings (CSE: TILT) (OTC: SVVTF) and shared his thoughts on its public debut. Back in 2014, Milton and his fellow co-founders were working in New York building apps and websites for startups. They saw the opportunity to build something in Colorado’s nascent cannabis industry and took it. Initially, the Baker platform was created as a way to help customers skip the long dispensaries lines by ordering ahead. 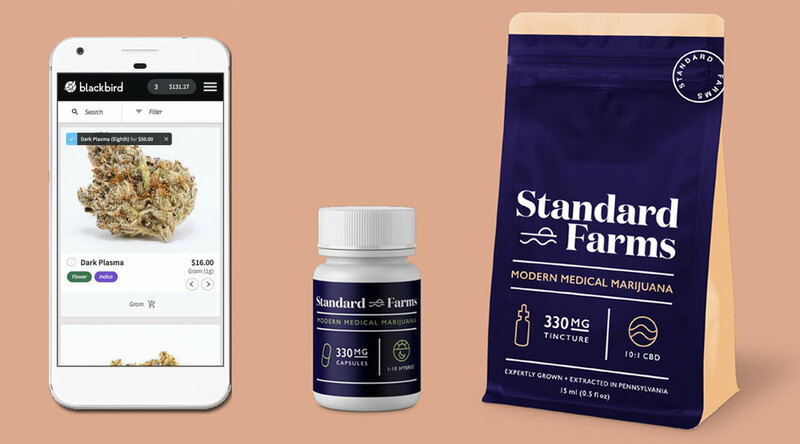 Now, the platform has a full suite of services and products – spanning loyalty, marketing, and e-commerce – that helps dispensaries understand and communicate with their customers. With 1,100 dispensary clients in about 27 states, Baker has a strong footprint. The company reported sales of $1.78 million in the first six months of 2018, growing 235% from the first half of 2017. When it first started, Milton did not see much in the way of competition, but that has changed over the last couple of years. Now, there are other companies offering different aspects of the Baker platform, which has driven the company to stay competitive with its pricing. Now, especially that the company is a part of TILT, Milton is confident Baker has a truly differentiated offering. 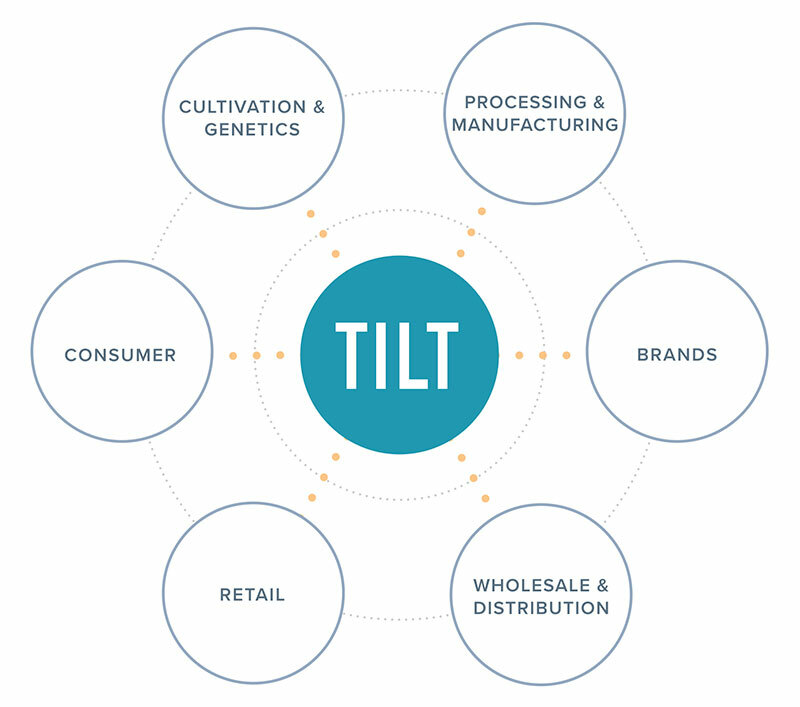 TILT is the result of three cannabis companies, including Baker, Briteside, and Sea Hunter Therapeutics, merging with a publicly-traded late-stage Canadian ACMPR applicant, Sante Veritas Therapeutics, to form a comprehensive B2B platform. The company has its own vertically integrated operations as well as Baker’s software offering. Though recently formed, TILT is already adding to its offerings through strategic acquisitions. The company acquired both cannabis distributor BlackBird and multi-state operator Standard Farms. Additionally, the company has an LOI to acquire hardware company Jupiter. Cannabis companies will be able to buy hardware to manufacture their products from Jupiter, have those products delivered on BlackBird trucks and use Baker’s services all on the TILT platform. The company continues to be acquisitive with LOIs in states like Maryland, Michigan, and Ohio. 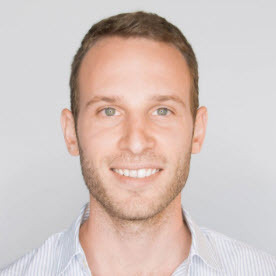 Milton also sees a number of cannabis software companies that could be complementary to Baker’s offerings, and TILT is exploring bringing companies like that on board. While Baker is now a part of TILT, fundraising has remained a vital part of Milton’s role. Ahead of the company’s public debut on the CSE, he and TILT CEO Alexander Coleman spent time on the road raising $119 million. The funds are being used to fuel the company’s acquisitions, as well as to further build out. For example, TILT is building an additional 80,000 square feet of cultivation space in Massachusetts. The company is in a position to execute its 2019 game plan with the capital it has, but Milton believes it will likely be a good business decision to raise more money to further build the business. To go public, TILT merged into an existing Canadian company, which meant there were existing shareholders. The company expected to have a number of sellers at the onset of trading. Canaccord priced the company’s capital raise at C$5.25, which is conservative compared to some of the company’s peers, according to Milton. And, banks have yet to officially launch coverage of TILT. Milton is excited to move into 2019 when that coverage launches, the company can share insight into revenue projections and LOIs move into definitive agreements. Investors are likely looking forward to updated revenue projections, as the TILT had provided guidance of more than US$200 million in sales in 2019 when it announced the transaction in May but later retracted it upon the request of Canadian regulators. Executing on vision and growth plans is one of the biggest challenges in the industry, according to Milton. But, he believes TILT is well-positioned to do so by allowing proven executors like Baker, BlackBird, and Jupiter to do what they do best and by bringing more market leaders onto the TILT platform. Carrie Pallardy, a Chicago-based writer and editor, began her career covering the healthcare industry and now writes, edits and interviews subject matter experts across multiple industries. As a published writer, Carrie continues to tell compelling, undiscovered stories to her network of readers. For more information contact us.